Air in Summer, warm in Winter ! As good as new after one hundred years ! 1. Raw material: clean & fumigated horse tail hairs. 2. To use fine craftsmanship to Curl every hair in very CURLY condition. 3. To put these curly hairs in a small cubic pouch, to be a small cushion. 4. 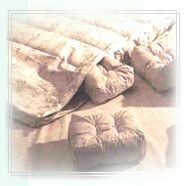 To compose many small cubic cushions into a big bag of mattress shape, to complete a New, Natural, Unique, Healthy and Friendly Mattress. 1. Air and cool in Summer, warm in Winter season: Because of made of curly hairs, it is warm in Winter. But, all hairs is in a special curly condition, it is good for flow of air. So, it is air and cool in Summer season. 2. Supporting: Very comfortable: Not too hard, not too soft. After calculation and test by computerizing, we put accurate quantity hairs in the small cubic cushion. Then, compose appropriate small cushions in a Mattress bag. The comfort is as same as the baby lie on Mother’s chest; trusty, tender, warm and smooth. It is the best comfortable mattress in the world now, probably. 3. 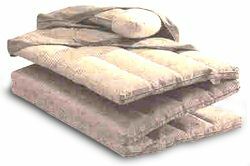 Burden position is changeable: It is easy to change the inner small cushion of heavy-burden with no-burden and turn around. 4. 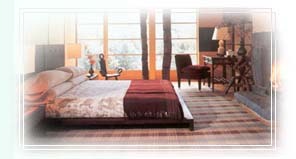 Easy to Clean: It is easy to clean the mattress. If you open the zipper of the Mattress, then you can take out the dirty small cushion to clean. 5. To air and to sun: You can easy to open the zipper of small cushion, and take out the curly hairs to Air, and to Sun under the Morning Sunshine. 6. To abserb moisture: The curly hairs are capable of the function of moisture abserption. 7. To Disperse heating: It is also capable of heating dispersion. 8. Easily to K/D, assemble, foldable, and moving: considerable design for use easily and conveniently in anytime, anywhere. 9. Very light in weight: It is very light. Easily to carry and move to anywhere. 10. As good as new after one hundred years: The horse tail hair is not decayed, deformed as same as the Foam and Spring materials. So, our mattress will be as good as new after one hundred years. 11. Price: very reasonable and very competitive. 12. Our registered Trade Mark: PROTOUCH. 1. The design of this mattress have applied the New Patent in Taiwan / China Authority. 2. Sometimes, we will add some Yak Tail Hairs in the mattress, according to the season condition of lack of Horse Tail Hairs. 3. All of the Horse Tail Hairs and Yak Hairs are Clean and fumigated / disinfected, and certificated by Government Authority. 4. 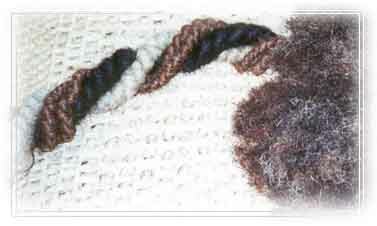 We also can supply you with raw materials ( Curly hairs ) only. import duty and cost to your company. We will like to send you catalogues, the best price list and small samples for your kind evaluation.